Advice needed please! As per above photo, I have an existing outdoor sunroom that is being converted into a new courtyard. For stormwater reasons it must now be enclosed. I wanted to do a vertical garden against the boundary wall (could possibly be fake plants). Since it must be enclosed, what's the best way to still give it an indoor/outdoor courtyardy feel? Is a glass roof an option or crazy expensive? Will a normal roof just make it very dark inside? It is on the west side of the house. This is one of The Block properties. 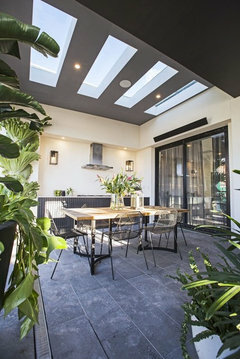 The roof is lovely and gives enough light for plants. Bigreader, that's gorgeous - do you know what the spend was? I don’t know the cost sorry. They don’t really disclose it, especially as the skylights were a sponsors. Agree it is beautiful. Is this your own property or a body corporate building? If yours, you could make an appointment to speak with someone in building department of your Council to discuss what type of roof (design and acceptable material) would be required, including permit. Then you could take this information to a local builder or Reno specialist, building designer or draftsperson to explore viable options. Then you can get the job quoted. Best wishes. kitchen design dilemma - i want everything in a small kitchen! What do you think of my floor plan for my new home? Option 5 or Option 6? 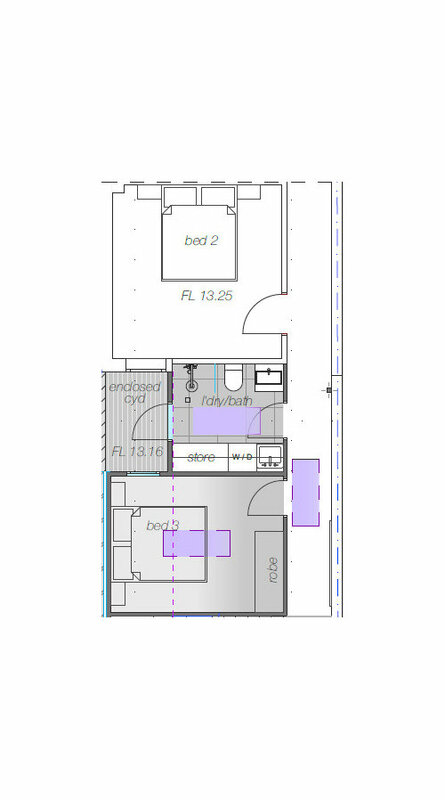 Your thoughts on our small-bathroom layout?